On September 11, 2001, a blind man escaped the World Trade Center by walking down 78 flights of stairs with his guide dog. Days later, America fell in love with Mike and Roselle and the special bond that helped them both survive one of the country's darkest days. 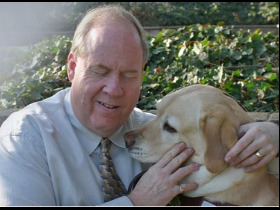 MICHAEL HINGSON On September 11, 2001, a blind man escaped the World Trade Center by walking down 78 flights of stairs with his guide dog.Days later, America fell in love with Mike and Roselle and the special bond that helped them bothsurvive one of the country's darkest days.